Look for a Vehicle Welding Service in Bradford then you have come to the right place. Our head Mechanic who undertakes all our car welding jobs will make sure the welding job is done to the highest standard. We are so confident of our work we welcome any inspection. Why would you want a young apprentice or someone with little experience welding your car? All Alone Garage will be more than happy to offer you a no obligation quote for Car or Van Welding in Bradford. MOT failed due to rust and now requires Welding, come and see us for a no obligation quote and we will even talk you through the welding procedure. We are over 40% cheaper than other garages in Leeds – we would love to see what we can do for you and have a customer for life. 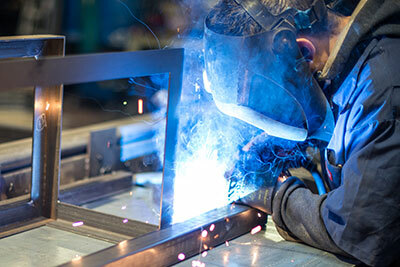 No welding job is too small or big for All Alone Garage we have industrial welding equipment.